What Colors Help Sell a House? Similar to the hues that are chosen for indoor color schemes, exterior house colors should be planned carefully. Aside from being the colors you will come home to every day, they can also make the difference in your home’s value – dramatically. That’s right, if you’re planning to sell your home in the future, you may want to carefully consider the exterior paint colors you choose to reach the widest selection of buyers. 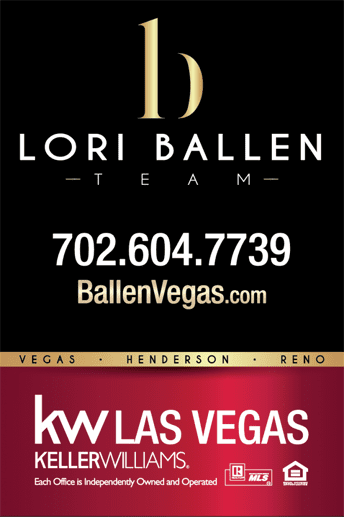 Wondering what your house might sell for? Get an Instant Home Estimate. Neutral colors can help a home to sell and if you choose traditional colors, these can present a warm and esthetically pleasing look to the exterior of your home. With warm and inviting colors, potential buyers are more inclined to want to check out the interior as the colors invite them in. 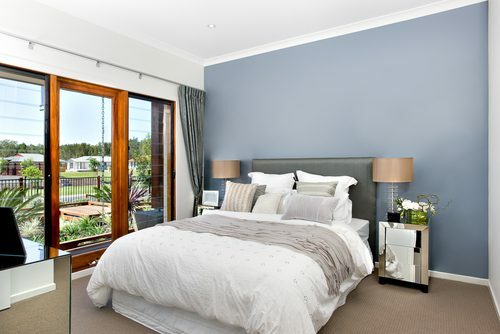 If a color is too stark, this can alienate the potential buyer as they won’t feel comfortable in the home. Unique colors that are too loud or outlandish can turn away potential buyers, so if you’re painting with a future resale in mind, give some thought to house colors that encourage curb appeal. Off-White: One of the safest colors, off-white is neutral and can help make or break someone’s perception of your house. Look for paint colors by Behr in Hazelnut Cream, Gallery White and Dark Truffle. Putty: With warm colors, putty, gray hues and taupe can blend into their natural surroundings. When paired with stones that line the driveway or the foundation of the home, this can increase the curb appeal. Taupe: An easy color because it’s a neutral shade, taupe is a very popular exterior paint color and a great way to play it safe when looking at a future resale. Gray: With different shades of gray, you may find that your house stands out as the colors can be very inviting. Look for Benjamin Moore exterior paint in Copley Gray and consider partnering it with Benjamin Moore Elephant Tusk for a matching finish on your trim. Blue-Gray: Giving a home a nautical feel works in some markets, especially homes that are near the ocean. This color works well when a good complement is used such as a white trim. Yellow: Depending on the shade, yellow can be a good color that shows a ‘happy’ look. Keep in mind that lighter shades work better and the end result can be a bright and cheerful hue. Light-Blue: Commonly used for Victorian homes, this color can help to enhance the home’s exterior architectural elements. Look for great colors by Behr in Skipper with a Burnished Mahogany finish. White: White can be timeless and a traditional choice with potential home buyers. 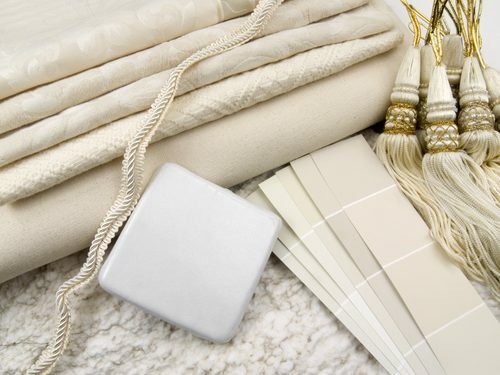 Just steer clear of stark white as you want to complement the home with softer shades. Cypress Green: A mix between gray and green, this is a neutral color that is far from boring. It can work well when partnered with gray or black shutters. Look for Benjamin Moore exterior paint in Cypress Green. Red: Red can be cheery if it’s a lighthouse color. It gives a traditional look and fresh appeal. 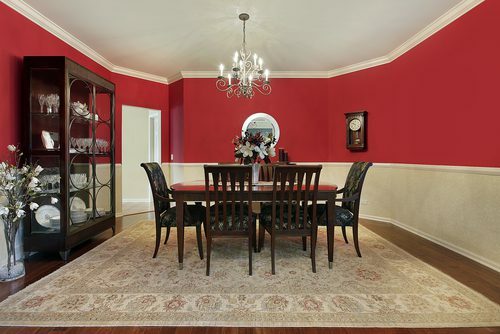 For a great color that stands out, look for Benjamin Moore in Million Dollar Red. Wheat: Wheat is in the beige family. It’s not white and yet it’s not yellow either. It has a softness to it that pairs well with blue or gray accents and a well-manicured lawn. Check out Behr exterior paint in Oklahoma Wheat. Brown: For a warm and inviting color that’s earthy, look for sable brown. Sherwin-Williams has an exterior paint in Sable that works well with other complementing colors like blue, black or red. Green: When using green, look for traditional colors like forest green. A rich and rewarding color, the natural shade is very clean and crisp. Look for Sherwin-Williams exterior house paint color in Vogue Green. To help with a resale, avoid neon colors, anything pink, bright yellow, orange or purple. If a buyer specifies these color preferences, that’s a different story, but typically, potential buyers are looking for light, warm or earthy colors that translate into “shelter” and “warmth”. Remember, they’re visualizing themselves in your home, so the exterior should be inviting and warm. In general, darker colors can make a house look smaller but more substantial. The problem with darker colors is they can quickly start to fade in the sun. A lighter color or an earthy color can help to increase your curb appeal as these colors are very inviting and help to showcase the home. Ultimately, that’s what you want when you’re looking at a future sale!